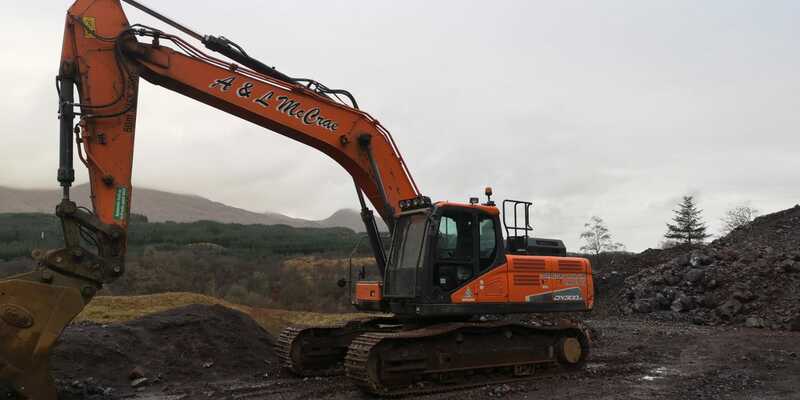 A&L Mccrae and Barrachander Quarry are dedicated to running a modern fleet of equipment and vehicles. As a result of this we have well looked after, dealer maintained equipment for sale throughout the year. Our plant sales are based out of the quarry so all plant can tested in a working environment and viewed in our workshop facilities or over an inspection pit. If any of the machines listed are of interest just give the office a call on 01866 833 355 to arrange a viewing. We are members of The BAA and proud to support British Quarries.